Earlier this week, the Wall Street Journal reported that a new Nintendo Switch hardware revision will be released in the later half of 2019. While we do not know anything about this new Nintendo Switch model, looking back at history and past experience, we can realistically predict what this new Nintendo Switch model will offer, and why. We believe that Nintendo will use an improved LCD display in the new Nintendo Switch hardware revision. We do not think this will be an OLED screen due to high cost of production. However, it is very unlikely for the company to shrink or enlarge the screen. More on that later. 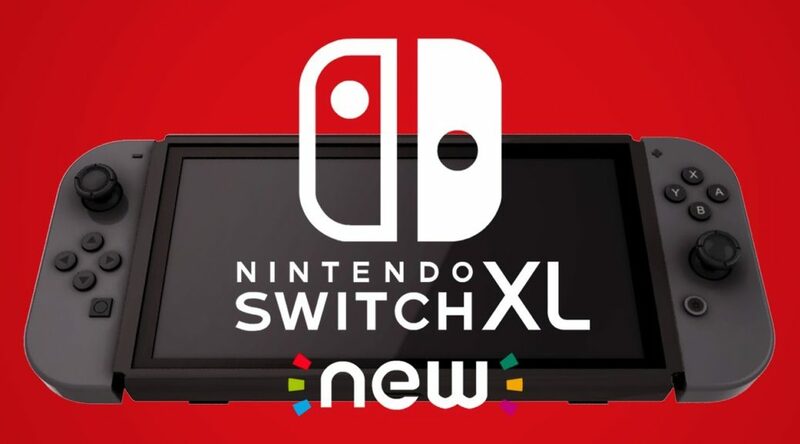 Another thing that we believe will most likely happen is that the new Nintendo Switch hardware revision will have exactly the same dimensions as the Nintendo Switch. This will ensure it works with all previously released Joy-Con and Nintendo Labo. It wouldn’t make sense to throw all of these accessories out of the window with a larger console body. There’s a chance the new model is lighter than the current Switch. Thanks to (minor) advancements in battery technology, we believe the new Nintendo Switch model will receive a boost in battery life, but it will be minimal. Assuming The Legend of Zelda: Breath of the Wild lasts 3 hours in the current Switch model, players will be able to play for an extra 15 to 30 minutes on the new Switch model. Nintendo has always been changing the texture of their handhelds. Nintendo DS Lite had a glossy surface, but Nintendo DSi received a matte surface. This could happen with the new Nintendo Switch model to give it a different look, and it’s not expensive to do so. This year, a new system on chip codenamed Mariko was discovered by hackers. We believe Mariko will be used in the new Nintendo Switch model to plug system vulnerabilities. The new Nintendo Switch model will be priced between USD299.99 to USD329.99, while the current Nintendo Switch might see a small price cut to USD279.99, if the new system is priced at USD299.99. We highly doubt Nintendo would improve the processing speed of the new Nintendo Switch model. Next year’s model is the equivalent of the Nintendo DS Lite/Nintendo 3DS XL – cosmetic changes and some improvements to the system’s screen and battery life. Same reason as the point above. They are probably keeping this for the model that’s equivalent of the Nintendo DSi/New Nintendo 3DS, which we will most likely see in 2021. This might happen in Japan, but we don’t think it will happen in other regions. So to sum it up, the new Nintendo Switch model is a minor revision similar to the Nintendo DS Lite. There will be no drastic changes to ensure compatibility with Nintendo Labo and Joy-Con. It will be a great way to acquire new users who don’t own a Nintendo Switch in 2019. We feel current owners may wait out until the real upgrade (the Switch’s equivalent of a New Nintendo 3DS) comes in 2021.